Seeing as the Polish Pickup is practically over, I figure now’s a good time to write three more blogs about it. Best blogger ever, guys! Never forget. Ugh. Her name is So Cozy, and good news: you’re buying it! 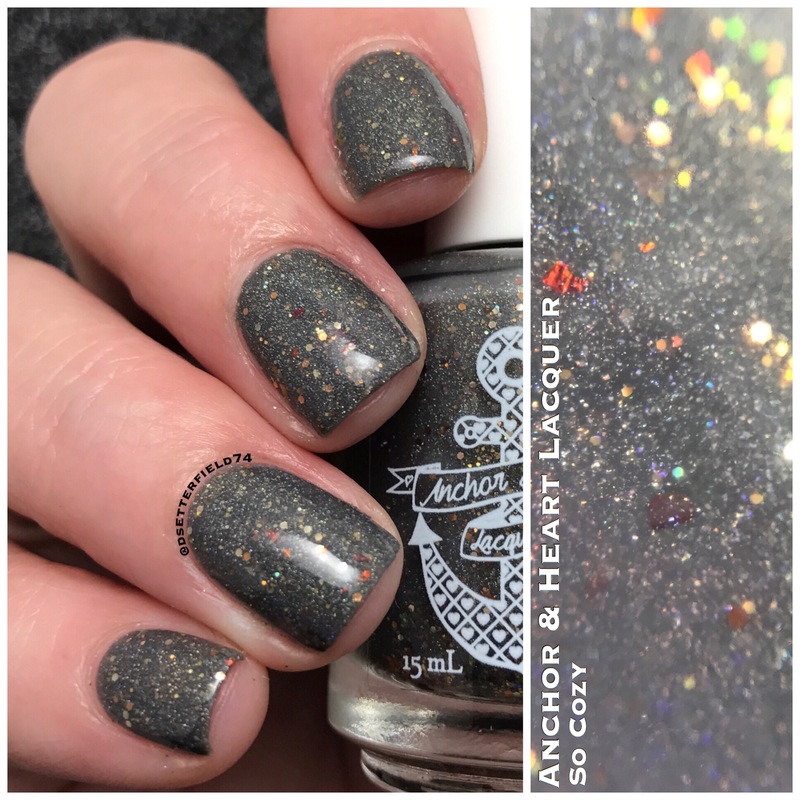 The Polish Pickup theme for September is Fall Foliage and Fun, and Taryn decided to focus on the fun part. 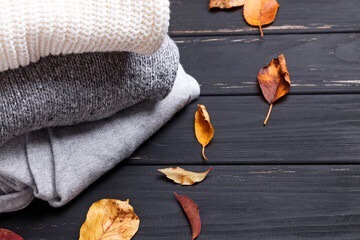 I fully expected to show you an inspiration picture full of pajamas and couch lounging, but surprisingly it’s just a pile of sweaters. I mean, still FUN except with less Cheetos. 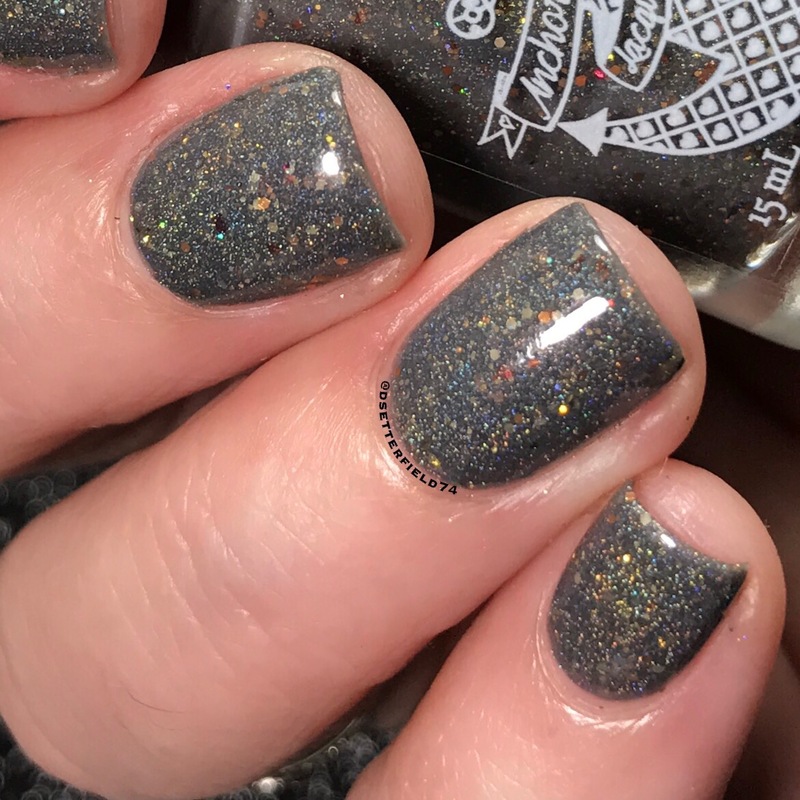 This polish literally looks like what cozy is. 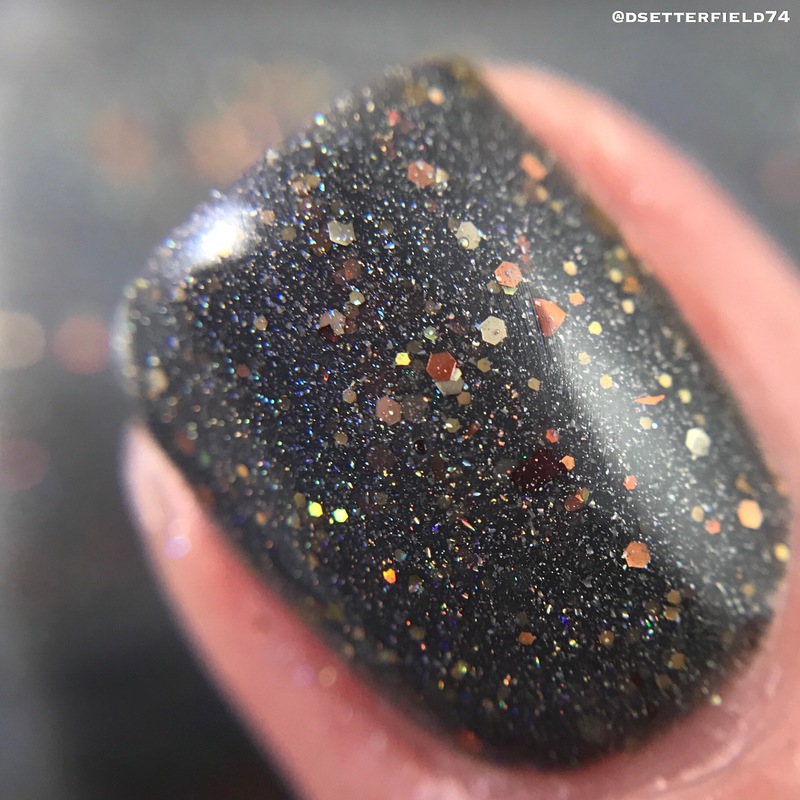 The gentle grey, the fiery glitters that are like sparks of a bonfire or maybe some crushed leaves. Y’all know I’m not the biggest fan of fall (cuz it’s too close to winter which ruins FREAKING EVERYTHING), but if I gotta pick something, anything to enjoy about it, it would be how I can take a lunch break out in the car without making a sweat bead mustache. 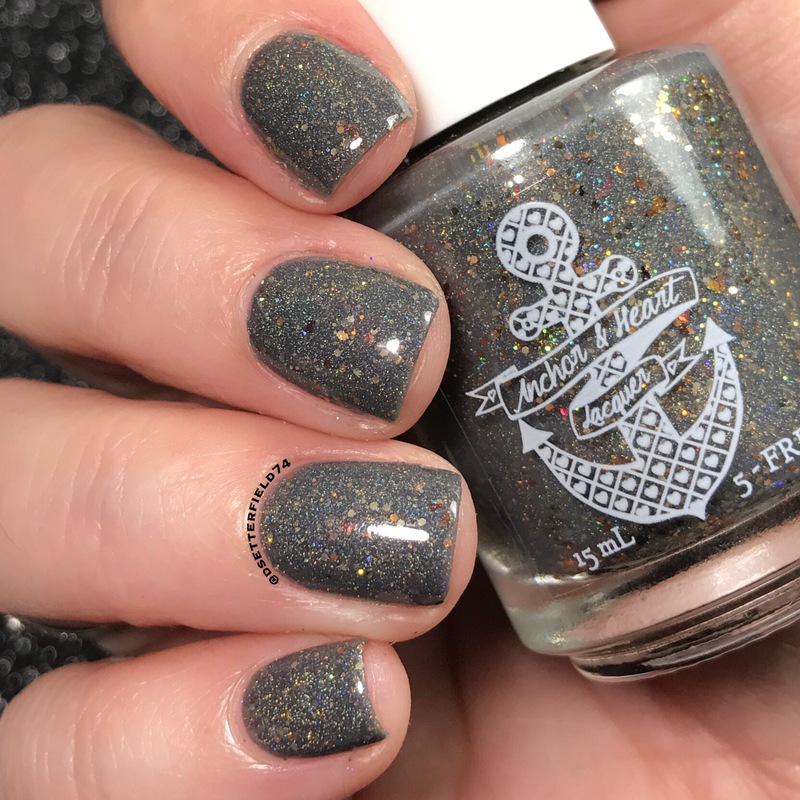 But this polish is a very close second. It’s magical perfection. In other words, you’re gonna need a billion bottles. AT MINIMUM. Who’s still upright? Not a dadgum one of us, that’s who. The Polish Pickup sale is open NOW and will stay open all the way thru Monday, September 4. 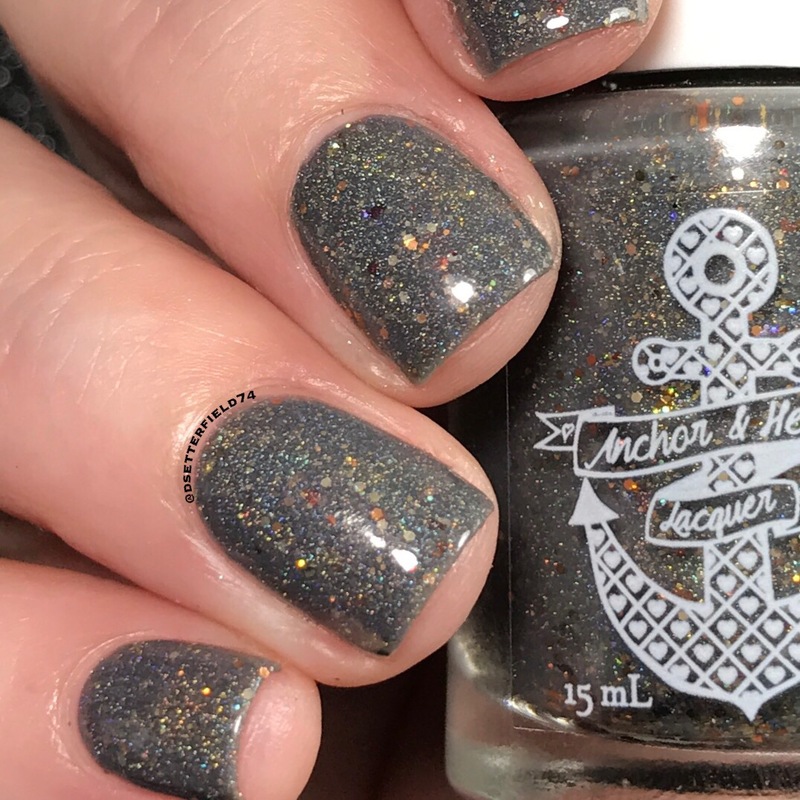 Cost varies between makers, but Anchor & Heart’s polish will retail for $12. Shipping is a flat $3 no matter how much you buy. I recommend all of them, because no one does Crazy Nail Lady quite like you. Get on it, boo boos! For more information on the sale and how it works, click here for the FAQs. Cuz I’ve blogged like 7,397 days in a row and the carpal tunnel is so dire. That’s it on this one. Make sure it’s in your shopping cart! You have 2.5 seconds. Then check back later, cuz this blogging frenzy basically just got started.